The following are answers to the WashCo Chronicle Board of Education candidates' questionnaire for Ryan Miner, candidate for Board of Education. Thank you very much Mr. Miner for responding to the questionnaire! I offer Washington County a fresh perspective and a tinge of youth and enthusiasm, combined with applicable experience that certainly will lend itself well to the makeup of the board. I have a passion for children and education, and I believe I can parlay my experience in business, budgets, public policy, communications and substitute teaching into our school system. I believe I have a profound understanding of our school system and its policies and operating procedures, and I understand the responsibilities of developing board policy and working through complex budgets while maintaining fiscal prudence on behalf of our taxpayers. Our school system is an entity of the state of Maryland; I have the political experience and have developed relationships across the board with state educational professionals, legislators and staff that will prove especially beneficial as a board member. If elected, I look forward to engaging with the Maryland Association of Boards of Education and working on behalf of Washington County to advocate for our public schools and improve our education model for our children. I am running on three basic platforms: 1) Local Control 2) Taxpayer Accountability 3) Common Sense Curriculum. The following are answers to the WashCo Chronicle Board of Education candidates' questionnaire for Jackie Fischer, candidate for Board of Education. Thank you very much Mrs. Fischer for responding to the questionnaire! Incumbents must prove that they have earned re-election. The end of a four year term is a great time to ask what an incumbent Board of Education member has done to deserve re-election. For the last four years, I have served as Chair of the School Board’s Policy Committee. This committee is responsible for reviewing existing policies, drafting and recommending new ones, and ensuring that local policy complies with state and federal requirements. Whats Cooking in Hagerstown Cookbook Now Available! 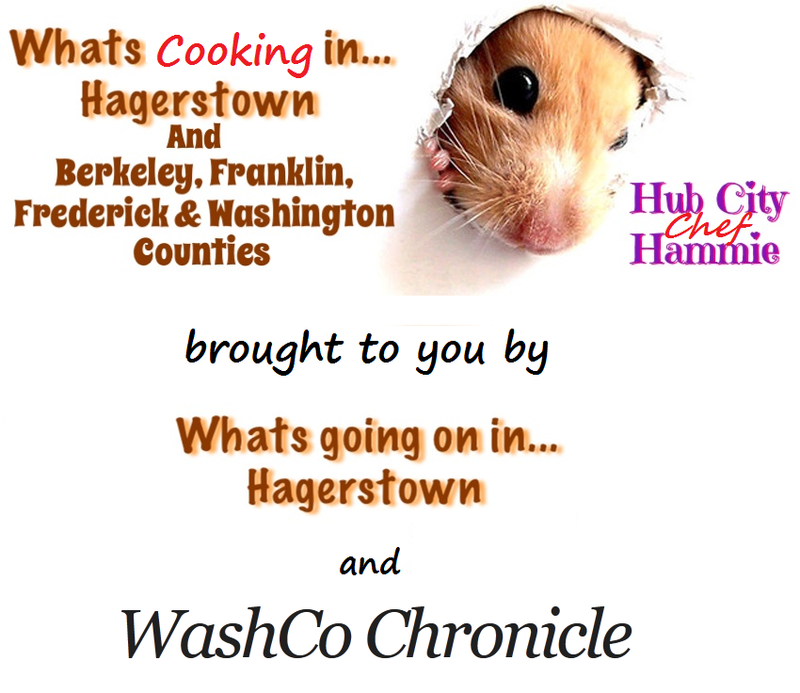 HAGERSTOWN, MD - Whats Going on in Hagerstown and WashCo Chronicle are happy to announce the first edition of the Whats Cooking in Hagerstown Cookbook! This cookbook has been a month long, joint venture between Whats Going on in Hagerstown and WashCo Chronicle. All recipes and photos have been submitted by members of Whats Going on in Hagerstown, and the cookbook assembled and hosted by WashCo Chronicle's editor. This is a 100% FREE community cookbook (eBook). This cookbook is available at NO CHARGE as an electronic download. This download is licensed so that it can be taken to a print shop such as Staples and be printed by anyone who wishes to use it. (see the cookbook for license details). All submitters receive full attribution for their recipes and photos.